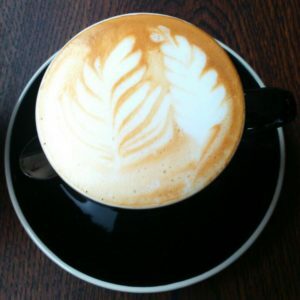 Arrow Coffee Company is an Artisan Coffee Roastery based on the beautiful Garden Route of South Africa. Our ‘Coffee Cabin’ is situated half way between Knysna and Wilderness, tucked away in the forest yet overlooking the Outeniqua Mountains. 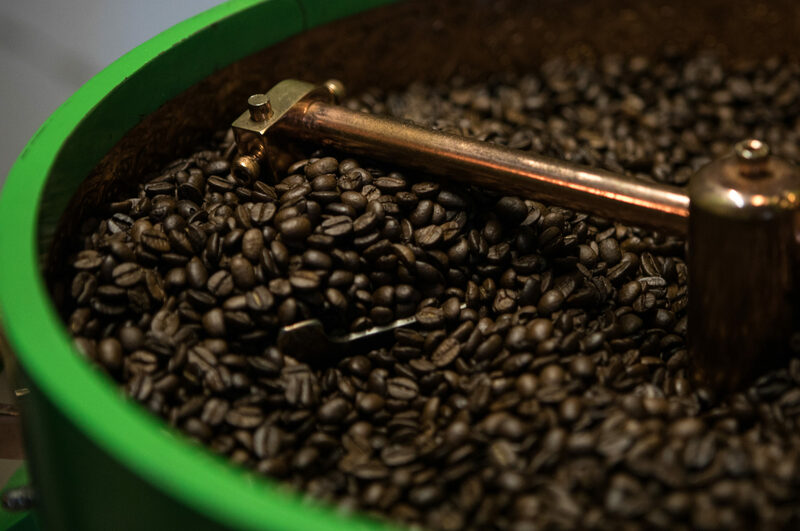 We only source premium quality Arabica beans from South America and Africa and the green beans are roasted on our farm using traditional, hand-roasting techniques. This means there is no new-age or computerised technology involved, only good old head and heart! We are Marijus & Jess Jakas and we run the Arrow Coffee Roastery. We share a deep love for creating superior quality coffee and making good folk smile! Read our story here. We currently have three expertly crafted medium roast blends to choose from and a delicious full-bodied decaf. Contrary to dark Italian coffees, Arrow’s blends are all very modern with a youthful, European-type taste, however we have developed the Full Moon blend to accommodate those who enjoy a darker roast coffee. We supply good restaurants & coffee shops, delis & farm stalls, guesthouses and businesses across South Africa. Our packaging options are 250g and 1kg (beans or ground to spec), and, in addition we will soon have 50g and 80g bags available for filter purposes. If you are in the Restaurant or Hospitality Industry please don’t hesitate to contact us and request a Wholesale Price List. Free Delivery within Knysna, Wilderness & Sedgefield or for online orders over R500 /// Door-to-Door courier R100 anywhere in SA. We focus on quality over quantity and specialise in small batch coffee roasting. This is why we call ourselves a micro coffee roastery. Read more about small batch coffee here. Arrow coffee is about getting back to our roots, slowing down and entering that primal, wild state of mind. It is about enjoying the little things in life how we used to, with friends in nature, around a bonfire on the beach or greeting that first sunrise on top of a mountain. We live to explore and explore to achieve. We encourage people to lift their heads from the blue screens and go outside, to brew coffee how our ancestors did, with fire and pot because trust us, there is no better way to enjoy the whole process. Get Wild! Stay Wild!